Recorrect: (wondering that microphone is kindda far from mouth)…not from month. Yes, the caller can still hear you if you speak loudly. I wouldn’t use this as the default phone call configuration, but it is adequate if you receive a call when out on a run. Thanks foe reply, I’ve bought one and use it happily. the older ones had great call quality… but over the ear does effect the usage and you can’t talk normally you have to talk loud.. and make sure you use a good charger.. don’t use iphone wall plug or it will fry battery.. easy mistake to make if you don’t read the specifications.. I don’t see anything in the manual about not charging them with an iPhone wall plug. It states “Input voltage DC 5V 100mA” but the device being charged is responsible for limiting the current draw; the adapter simply supplies a constant 5V. If this really is a problem, JayBird needs to be much more clear on this. hi I have bought a Bluebuds x and I get the same problem like you. I can’t turn the bluebuds on. I would like to know is any update from jaybird? I bought a pair of bluebuds x I in August 2013. They were the perfect bt headset till Feb 2014, when they just stoped and would not charge. Sent to Force Technology in Australia (jaybird rep ) and they took nearly a month and several phone calls and eventually sent a brand new pair. This pair charged a couple of times but then I statrted toonly got 20 mins usage and they would die. Sent back and received a new pair within days. Seems there is a known issue as others here have discovered. Unfortunately after receiving the new headset on Friday, I ran with them on Saturday and they indicated low battery after 30 mins. I used for another 5 mins and then plugged into the charger when I got home. No led came on and I could not turn them on. Dead, sent back to Force today. Should have read this post before purchasing. Over it. The battery of my Jaybird Freedom Sprint drains completely after some days *in off state*. That is so annoying! Has anyone else had a problem where they will not charge at all? Mine will not connect and charge. I haven’t had that problem, but it seems like a less severe version of the issue I had. Seems like the battery is not very robust. You should contact bluebuds. Make sure you have a receipt. The peoblem was probably caused form charging them on a high current charger,, such as for an ipad, vs a low current iphone or computer usb port charger. Sounds like you have a short. That has happened to me twice now. Both times returned and sent brand new sets. Yes I hae a pair that is 3 months old and the battery died while I was using them. I though othing of it until I tried to recharge. The green light just stays on and it will not recharge. After talking to and working with Jaybird they were very helpful and it turned out to be the cheap charging cable they sent me was bad so they sent me a new one no charge. All works great now. Thank you for posting this. I was having the same trouble. My husband has the Jaybird Freedom and I tried plugging my blue bud x into that cable and it worked. I will contact Jaybird and see about a replacement charging cable. I’ve had mine for two weeks and I’m having the same charging problem. I had similar problems with my Jaybird Freedoms which I had replaced twice under warranty. I absolutely love these headphones… when they work. I’m calling in for a warranty replacement tomorrow. It’s frustrating that a product can be so perfect and then fail to charge two weeks after I bought them. There is currently no competitor in the bluetooth earbud space that comes close on the form factor or function of these headphones. 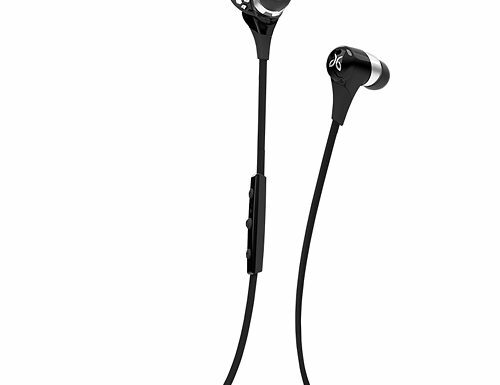 I looked long and hard before buying another Jaybird product, but they’re still the best. My X buds are about a year old and I’m starting to experience the same battery/ power issues. I’ve found that the need a “push start” to power on. Otherwise they appear to be dead. I plug them into the charger and depending on the charge the LED will illuminate. I then in plug them and immediately power them on. If I turn them off I cannot get them to power on unless I use the fore mentioned method. I suppose I can live with this for awhile, but it is frustrating not being able to power them on cold especially when I’m hiking or on a jog. I considered contacting Jay Bird until I read your post. I have bought two Jaybird Freedom, both have had the charging problem. The first pair Jaybird replaced, not the second set. I have yet to buy another pair of something I really wanted to work. But if I have the same problem with a product…I think the product is defective and why keep buying it. The search for Jaybird kept taking me to you tube reviews. Thank for having this outlet. Toni, sorry to hear you continue to have the same problem. Every time I use my current pair, I wonder if they are going to keep working. The way I see it, if there is no sign of physical damage and the headphones stop working for no reason, it’s probably because of sweat and should be covered under their lifetime warranty. You should keep calling until you get a different answer. It’s ridiculous that they aren’t being replaced by Jaybird when this is obviously a common defect. Had the same problem with 7 pairs of the Jaybird Bluebird X headphones, In the end I completely gave up on sending them back. Why 7? I brought two pairs for my wife and I as my pervious Jaybirds were awesome. The first set died straight away, so sent them back, 2 down, then my new pair dies, 3 down, next both my 3rd and wife’s second pair die, 4, 5, down, next my 4th pair and my wife’s 3rd pair dies. Over sending them back, I decide to write them off as a bad purchase and it is just a waste of time the back and forth. Their customer service varies greatly, I had to email the CEO to get a response. This happens even when I am at my desk listening to them, no sweat. 2. If you let them go completely flat, they seem to do a hard-reset and work again, the trick is trying to get them to go completely flat when they are fully charged and won’t turn on. I find it takes about a week. I think the problem is related to when there is an interference to the bluetooth signal. It is really annoying and seems to be quite a major flaw, I was very upset as I brought them the moment they were released and with the returns, the problem never seemed to be resolved. I am on my 3rd replacement for the same problem. First one tech support blamed on using the wrong charger. Second they sent with a charger and it died too. Third one died within a month. Am starting to get tired of sending it back for a replacement. Wow Dale, I knew there were reliability issues with these, but I had no idea they were this prevalent. Thanks for sharing this information. It makes me very reluctant to ever buy anything from them again. Adam, I think you summed it up perfectly. The only reason to buy these is because there is no alternative. As long as you can do a buy-swap-return when they fail, it’s not too bad. Dealing with Jaybird directly for warranty makes it not worth it. Im having the same problem with my buds powering up. Im on my second set of buds. The first set where swapped out with out too much trouble. Unlike my first set of wireless headphones (Dr.Dre Beats) after about 3 months the band that connected the ear pieces started to crack. After contacting the company and getting the return instruction. I return them just to be informed that it was above what they consider nomally wear and tear. I paid nearly $300.00 Needless to said I would never buy Beats again. I am sorry to hear that jaybird is having these problems but I’m hopeful that they will work it out. I have a brand new pair (xmas gift) and am having the exact same issue… they work fantastically when they work, but once turned off overnight, they will not power on the next day, even if fully or mostly charged. The only way I have found to power them on is to plug in the USB charger for a brief moment until light turns from red to green (even if they were already fully charged mind you), then unplug them and power them on… It’s like “rebooting” them or something(???) Tech on chat says you can also press and hold the power button for 8-10 seconds to reboot, but I have had no luck with that. I also found it interesting that he said that was the way to “reboot” them, but it mentions noting about that in the user manual. Are the plantronics backbeat go 2 a competitive replacement? Are they close? A product at this price should be much more reliable. I can’t recommend them. Im going for my third set now. The 1st one lasted a couple months, the second a couple of weeks! I was running and it suddenly died. It won’t even charge. No led, nada. Too bad that I am in Brazil and it’s a pain to get the replacement. Customer service was a pain, but after reaching out to the CEO, everything was solved. Oi Marcus, eu também moro no Brasil e estou tendo problemas com meus bbx’s, que foram comprados há uns 9 meses atrás na BestBuy. Se não for um grande incomodo, seria possível que você me indicasse o caminho, o email e, se possível, até a carta que você enviou ao CEO, para que conseguisse a substituição dos seus bbx’s? Tenho algumas dificuldades com a escrita em inglês e fiquei muito feliz quando descobri alguém que mora no Brasil e conseguiu reivindicar seus direitos a longa distância. Agradeço antecipadamente se puder me ajudar. Ive bought it today. And wont to turn on. When i connect there is allways green light and thats all what this buds show. Disapointed. Great hardware, bad battery. Best case you will get 2-3 years out of them or around 500 charges. Mine stopped working in less than a week. I was attempting to pair with my Mac Book Pro and they just died. No LED illumination or anything. I tried charging with multiple chargers and cables with no success. I’m curious as to whether the defect pertains to certain retailers. I purchased mine from Amazon. Have folks from Best Buy or purchasing directly from Jaybird had better luck? Unfortunately, they are the same unreliable design no matter where you buy them. Im glad I found this message board. I thought I was being dump and didnt know what I was doing. Mine have the same symptoms out of the box. Pretty sad something brand new and so expensive is defective I returned the next day after I bought them at best buy. No way I keep them to have problems in the future it is a shame they sound so nice. I bought my last pair in 2013. I’ve gone through the return process 4 times. The issue you experienced in 2008 is the same as today. This is a sorry product/company. I’m going for my third set now. I’ve had a pair for about 8 months then it’s suddenly turned off. Asked for a replacement then, the 2nd had last for 6 months. Now, I’m going to request a new one… it means, you will keep asking for a replacement but i have to confess, its a very nice headphones. despite of this, its really annoying as difficult to recommend, given its unreliable condition. *sigh* I was really hoping that I was the only one. I am on my third set now. This set has lasted for 9 months (a record). Took them for a run this morning, fully charged. Came home, turned them off, and when I went to turn them on again a few hours later they are dead. No charging lights–nothing. I have the extended warranty from Best Buy, but so far, none have worked for longer than a year, so I just keep returning them. I imagine eventually they will come out with new ones and I’ll be out of luck. I no longer recommend these unless you purchase from a store with a good return policy. Jaybird’s CS is awful. I assured them that USB is a standard 5V and it does not matter what current rating the USB charger is as the device controls how much current is drawn. They insisted no more than 1A.. I agreed to disagree. I’ll make sure I use nothing more than 1A and see how it goes…. 2 If you can try not to charge right after a run or something that causes them to be moist. it can cause problems. This seemed to me to be a more plausible problem, yet still highly unlikely that this has knocked out several of my headsets as I don’t think I’ve ever pluged them in immediately after a run. I will keep an eye on this. End result. .JB seem to think there is nothing wrong with the design etc…. I have my BT sound back and although I’m in constant fear that they will fail sooner rather than later, I have used, charged and am using them again at my desk and all is good, touch wood! The issue I see is when the warranty runs out in 2 months, what happens when they fail again? Dan, I agree with you that chargers only deliver the amount of current drawn by the device. The USB spec is 750 mA max, and current only exceeds this if the device requests it. That’s why Android phones take forever to charge when connected to an iPad charger using a standard USB cable. Jaybird didn’t design a standards compliant charging circuit and is relying on customers to use low current chargers, but doesn’t specifically state that in the manual or anywhere else. As for the warranty, we’ll need to figure out how to invoke the highly advertised lifetime sweatproof warranty promise. If they advertise it, they’d better warrant it. If the headphones fail during a sweaty run, it seems to me that sweat is the most likely cause. Not one single pair of bluetooth, or corded running headphones ,across half a dozen brands, I’ve bought have survived more than three months. I’m wondering if certain people, myself included, produce sweat that falls outside sweat resistant ph levels manufacturers use? This is my second pair of Jaybirds. I bought them a month and a half ago and am on my second set because the first one would not take a charge. Fortunately for me I just walked into Bestbuy a week after i bought them and got a new pair. Now a month and a half later my second pair is no longer taking a charge. At some point I think we all need to stop singing the praises of the sound and quit buying a product that doesn’t work. There is obviously a HUGE design flaw. No matter how good the sound is, if they don’t work they are just junk in a drawer. Never again guys. Don’t waste your money. I will be going site to site to leave a proper review for these headsets.. Hope you guys do the same. Huh. I just plugged mine after not using it for months. It glowed green, I had it connected for about 10 minutes, put them in my ears, press and held the ON button and heard the familiar “Power on” voice. Sometimes, they didn’t turn on, which is why they sat unused in a desk drawer, but I somehow manage to reset them (only found this site because I was Googling “Bluebuds reset”.). Yeah, they’re balky and stubborn and prone to being a PIA, but honestly, they’re still working which is about all I can ask of them. The only other option for music when I workout is my Sony walkman MP3 (NWZ). I really hat the wires. I wonder how many returns could have been spared with JB having a real reset command acknowledged? I fixed mine! I thought sweat broke it for sure, as I had just got done working out only to return to broken earbuds. I was still looking for a hard reset solution which brought me to this site. I actually put an order through for a new pair so I could return these, but I just cancelled that now. After that, it returned to normal where I can power off/on and everything else without a problem. I agree with Dale that the issue seems to be related the Bluetooth connection itself, where it seems to be in a frozen state. Thank you so much, Kevin! Your trick worked for me!! My Bluebuds would appear charged, going from red to green, but then would not power up. I hope the trick continues to work as these are the only BT headphones that have lasted more than 6 months for me. That worked for me! I’ve RMA’ed 4 of these things already, and I’m guessing if I’d just known about this I wouldn’t have had to RMA any of them. Thanks! I was researching on what ear buds I should get for running since my old Beats died on me. I was excited over the Jaybirds bluebuds but after reading a lot of reviews and especially after reading your blog it has made me think twice about it. I’m looking for ear buds that feel comfortable and stay in place cause I hate it when I’m running and I have to constantly fix my ear buds cause they feel like they might fall. I was wondering what ear buds do you recommend? Which pair are you using now? 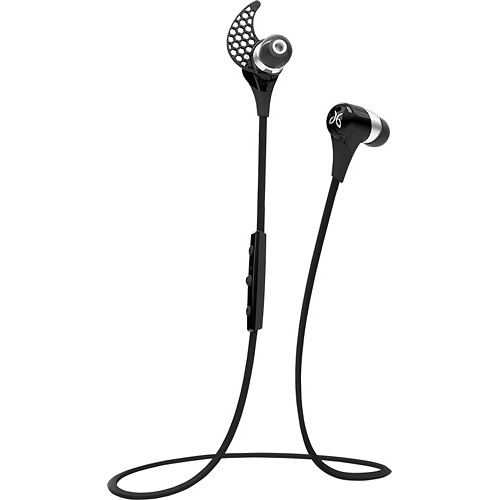 Do the Jaybird freedom sprint have the same issues? My primary headphones are Klipsch S4i Rugged. They have been very sweat-proof and stay in my ears fairly well. I think they’ve been discontinued but old inventory is still available; they’ve lasted me 2+ years. The exact same thing is happening to me. I got almost 6 hours out of the headphones before they died. Then I charged them (on an approved charger) until the light was green. I went to turn them on. Nothing. So I tried a bit more charging. Green light. A week later I thought I try powering them on. Nothing. Put them on the charger. Green light. Also, I found the bass response to be near non-existent. They sound than any cheap headphone or speaker system I have ever owned in the past 10+ years. The mid/high is decent, but what headphones don’t achieve that? If your bass response was good, then I wonder if something deeper is wrong with my headphones. Hopefully Best Buy will be as helpful to me as they were for you. I have had my 4th pair for nearly 7 months now without an issue. I have not had the chance to prove the fix that Kevin found and hope I never have to but thanks Kevin for sharing the solution, looks like Peter has found it useful. It sounds feasible that it’s a bluetooth connection issue and quite likely related to the device the bbx are connected to. I had a HTC One M7 up until mid May 2014, when I upgraded to a HTC One M8. Along with the M8 came a firmware upgrade, not sure if there was a bluetooth upgrade in there but suspect there was. My previous BBX failed in early may on the M7 and since I received the 4th pair in June 2014 and had by then upgraded to the M8, I have not had a problem. I also connect to my Smartwatch daily, had a Samsung gear live for 3 months and now a Sony SW3, and have not seen the issue. Unfortunately, from my experience, it won’t always work and will eventually be broken. After 3 or 4 pairs with the trick giving no results, part of me believes coincidence may be a contributing factor and have considered it might not even be a real solution (I had positive results without doing this trick, just by simply reattempting at a later time). When I’m done working out, I take the sweaty ear cushions off (I use Comply Foam, which absorbs a lot of moisture), and then I hang them over my PC tower so the ear buds are dangling off both sides. My reasoning for this, considering they almost always break when I return to them, is that the sweat is dripping down to critical areas when I put them down. Having it hanging seems to avoid this. After 10 replacement I have stopped counting. Sometime they last a few months, some times a few hours. Great when they work but really tired of changing them. Although I haven’t tried them, I think the Powerbeats 2 are probably s better option. I received my third replacement pair a few months ago, and, at least on this model, pairing mode is accessed by holding the + and – (volume) buttons simultaneously, not by the middle button. So to reset I had to hold these two buttons down a second time, while it was in pairing mode. I have used the bbx running every single day for about 6 months now. Last week the left earpiece quit making noise – only the right side worked. I did the online chat thing with Jaybird, described my problem, and they walked me through a factory reset. That didn’t work, so they set an RMA up for me. I sent a scan of my receipt, and was good to go! They are now cross shipping new headphones to me. I see a lot of angst against the customer service Jaybird offers here, but I have been mightily impressed with it! The factory-reset advice was very helpful. Thank you my friend! Both my first pair- purchased 2 years ago, and my second pair- purchased from Best Buy 4 months ago, died the same you you described above. The green light illuminates when they are plugged in, but they refuse to turn on, go into pairing mode, or facory reset. I wouldn’t be as disappointed if I paid $30 for them, but at $100 they should be more reliable. Bluetooth headphones is the best headsets in the market, Plantronics is the Bluetooth headset company. If any one know any trick to shake up the battery again I’ll be grateful ?